A legacy unto himself – Albert Pujols – A World Championship, check; an MVP, check; multiple All-Star appearances, check. Now the 37-year-old slugger is looking to become a member of the 600 Home Run Club the first player since Alex Rodriguez. 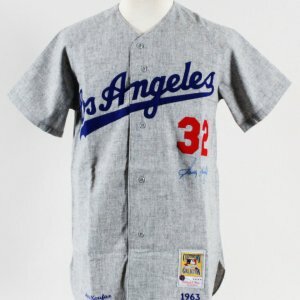 Presented is one of the most well documented Albert Pujols game-worn jerseys to ever be offered in the hobby. It dates to August 23, 2003 and it’s a white home jersey from “Jerseys Off Their Backs Day” at Busch Stadium. The jersey shows remarkable wear throughout. It’s unlaundered with infield dirt and sweat stains all over (especially in the collar area). The jersey shows Majestic tagging on the tail with a [size] 48 flag. The tail is custom hand-cut by Pujols. This is a common characteristic of his jerseys. It features the Cardinal logo wonderfully crafted in chenille (feat. thread fraying). Inside wash tagging provides the appropriate pro-coding “0062”. 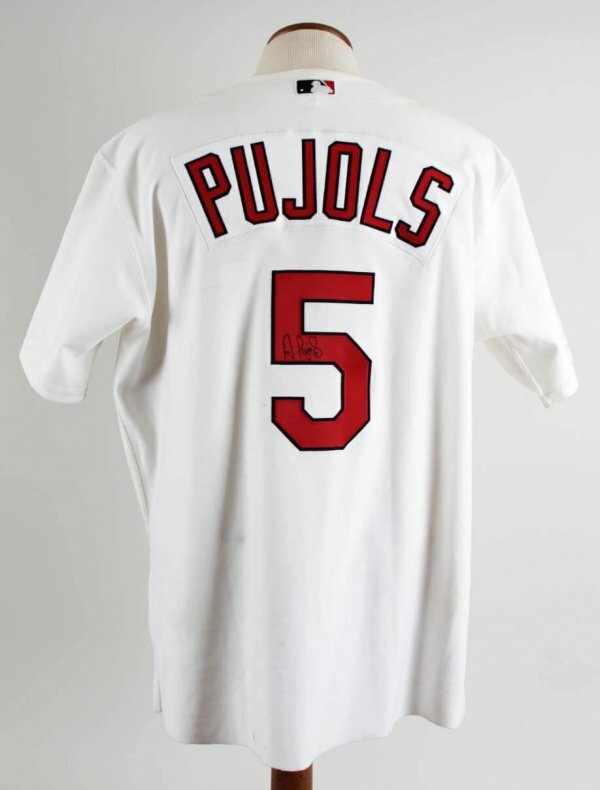 Nice two-color tackle twill number “5” and “PUJOLS” sewn to the nameplate on the verso. It was also autographed by Pujols on the back number which makes this gamer incredibly scarce indeed. According to the 2004 (Fourth Issue) of the Cardinals Game Day Magazine, the team hosted a “Jerseys off Their Backs” day the prior season (2003) in a “Cardinals Care” article (p.19) and they were bringing the promotion back. There is a photo of the winner receiving this Albert Pujols’ game jersey that day (August 23, 2003) and getting it autographed after winning the raffle. On August 23, 2003, I attended the Cardinals vs Phillies game. They were having a charity fund raiser that day called “Jersey off our backs”. For $1 you could buy a scratch off ticket for a chance to win a jersey off the back of a Cardinals’ player at the end of the game. I bought a ticket during the first inning of the game. It just so happened to be a winner. Anyone with a winning ticket was to report to a certain area of Busch Stadium during the 8th inning. 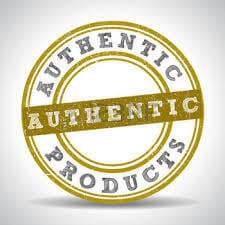 We were led to a large conference room inside Busch Stadium where, one at a time, we walked up to a table that had several sealed, unmarked envelopes. 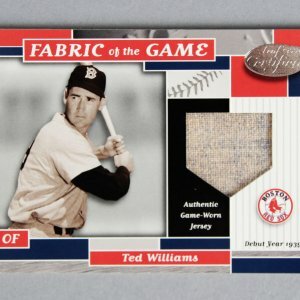 Inside the envelopes was a player’s number. When I randomly picked an envelope from the table and opened it, the number on the piece of paper was 5. It was definitely an exciting moment. The rest of the winners were excited for me but disappointed at the same time. That’s the player everyone was looking for. Immediately after the 3rd out in the 9th inning, we were led on to the field of Busch Stadium and lined up in numerical order on the 1st base line between home plate and first base. We had to hold up the piece of paper from the envelope so each Cardinals player knew which person to walk to. From the dugout comes Albert Pujols and he makes his way over to me. He pulls off his jersey, flips it over and signs his name on the 5 on the back of his jersey. He also gave me his batting gloves and wrist band that he wore during the game. There happened to be a team photographer standing next to us taking our picture as Albert signed his jersey. Surprisingly, that picture made it into the St. Louis Cardinals Gameday magazine the following year. It’s issue 2004, No. 4. The picture appears on page 19 of the magazine. I also saved the ticket stub from the game. 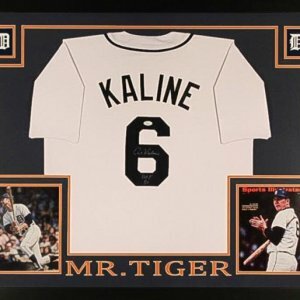 This collection includes the signed, game worn jersey.” It’s important to note the other items are not included and this auction is for the jersey only.